Join us for a keynote lecture by Prof. Sergio Della Pergola (Hebrew University of Jerusalem). 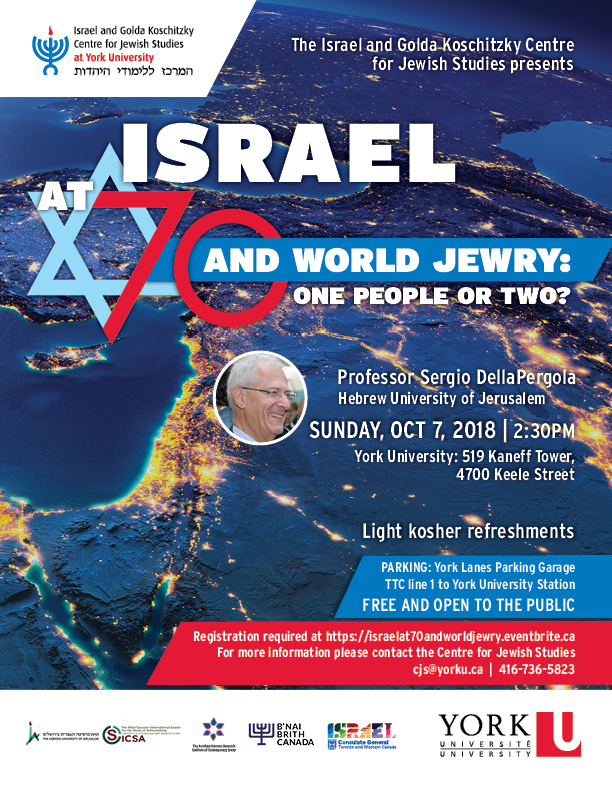 Prof. Della Pergola will discuss how seventy years of Israeli statehood offer an opportunity to review the ways in which several major processes of change have shaped Jewish peoplehood. Parking is available at the York Lanes Parking Garage and the Vanier Parking Lot. TTC access: From Line 1 - York University station exits directly across from the Kaneff Tower.